Thomas & Mercer, 9781503903210, 336pp. The dark world he's been fighting against has caught up with him. Will his daughter pay the price? Former Army Ranger Pierce Hunt is no stranger to violence. Fresh off a six-month suspension, he's itching to hit a notorious Mexican drug cartel where it hurts, even if that means protecting crime boss Vicente Garcia, a witness in the case against sadistic cartel leader Valentina Mieles. But things spiral out of control when the cartel murders Garcia and kidnaps his granddaughter and an innocent bystander, Hunt's own teenage daughter. Mieles wants the new head of the Garcia family on a plate--literally. Hunt has seventy-two hours to deliver, or Mieles will execute the girls live on social media. With the clock ticking, Hunt goes off the grid and teams up with Garcia's daughter, a former lover and current enemy. 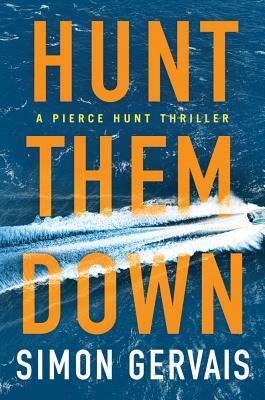 To save the girls, Hunt will have to become a man he swore he'd never be again: an avenging killer without limits or mercy.